It is BEAUTIFUL. Love the hardware, love the detail on the cabinets, LOVE the barstools, love it all. i LOVE it! 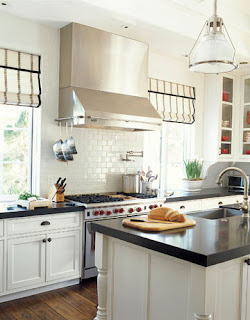 i am in love with white kitchens and white cupboards with the black to offset it. how's the house coming along? i can't wait to see pics!